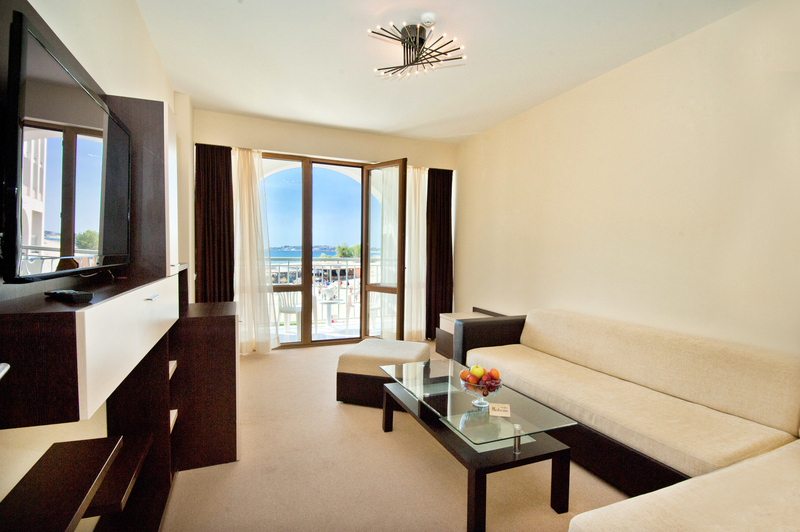 Hotel Viand is a luxury hotel, located right on the sandy coastline in the central area of Sunny Beach Resort. Nearby, guests may enjoy, being at their disposal, children’s entertainment center, shops, restaurants, bars, night clubs and casinos. The hotel is a six-floor building, with two elevators, restaurant with terrace looking to the beach and lobby bar. The complex offers 118 units – 110 double rooms, 4 studios and 4 one-bedroom apartments. Most of them have direct view to the sea and the whole Nessebar Bay. The rooms are spacious, comfortable, fully equipped and modernly furnished. Each room is equipped with individual A/C, satellite TV, radio, telephone and mini bar. In the bathrooms are bathtub, emergency telephone and hairdryer. 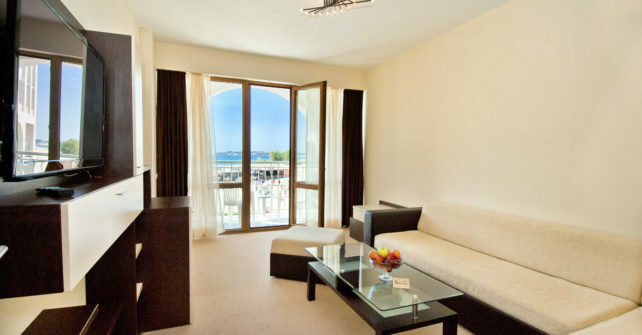 All rooms dispose balcony with two chairs and table.